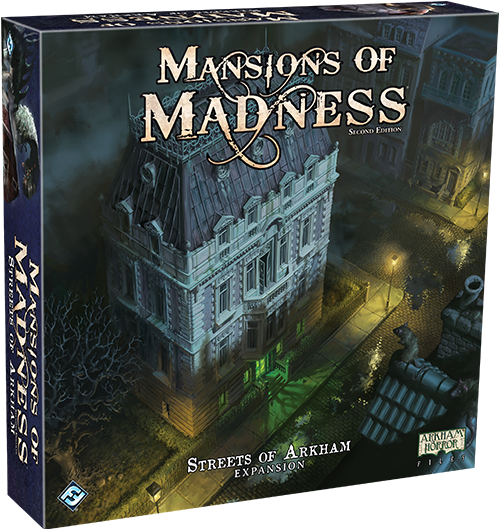 Mansions of Madness 2nd Edition has a new, meaty expansion coming out at the end of 2017, and Fantasy Flight just released a preview of one of the three new scenarios that comes with the Mansions of Madness Streets of Arkham Expansion. 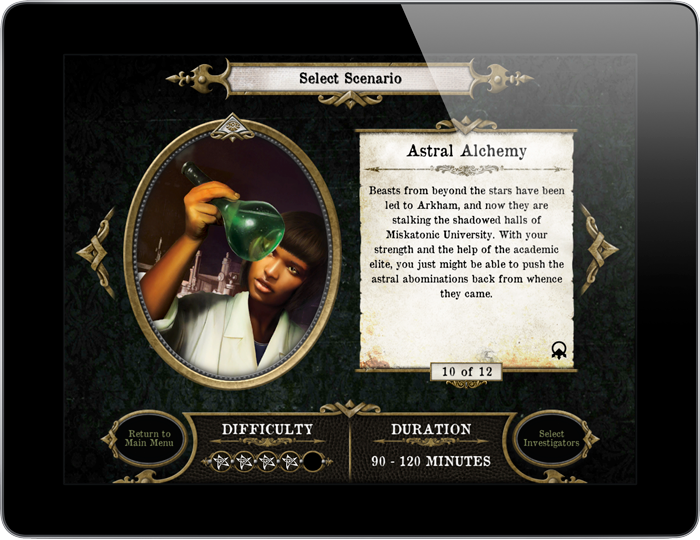 The scenario is called “Astral Alchemy,” and it takes place at Miskatonic University. The scenario is marked as a level four out of five difficulty and takes about 90-120 minutes to play. You and your fellow investigators are contacted by Doctor Bell, who is the rising star of the University’s Alchemy Department. Her vague note warns that a threat is approaching from the stars, and unless you help, all of Arkham is doomed. You all head to Miskatonic University to try to find answers and protect the human residents of Arkham. As you probe deeper into the mystery, you find that your mortal bodies are too weak to handle this case. Thankfully there’s a new type of card that will help. 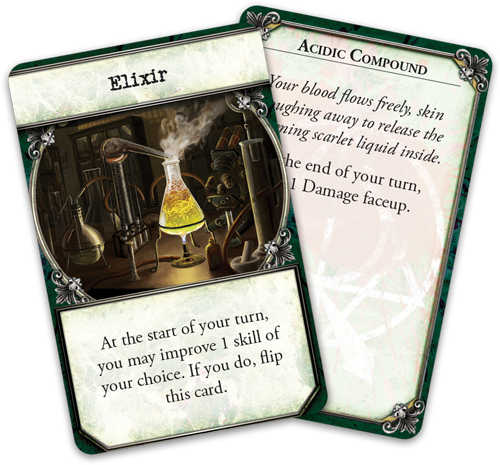 The Streets of Arkham Expansion introduces elixir cards into the game. When a player drinks the elixir, they will be able to improve a skill by one point. But drinking these potions is risky. Each elixir card is double sided. Once you drink the elixir, you must flip the card and suffer the consequences described. The Streets of Arkham Expansion comes with three new scenarios, new elixir cards and new tokens. It also comes with new tiles, monsters, investigators, and new cards. All of the scenarios are set in the roaring twenties, and take investigators around the town of Arkham, from the campus of Miskatonic University to the gang-run speakeasies and storefronts. The Streets of Arkham Expansion will be released in the fourth quarter of 2017 and will cost $59.95. Like the base game, the scenarios each take 2-3 hours and are for 1-5 players.